Fun newsletter names are not always at the tip of one’s tongue. It can be challenging to come up with the name that is just right. Yet, a good name can really give you a leg up and set the tone for your overall communications plan. To help you in your search, we’ve put together the following reference list. Enjoy these newsletter name ideas! Check out these hilarious and funny wifi names by clicking on graphic above. TIP: Funny and creative newsletter names can help you set the tone for additional communications. When selecting a name, give some thought to how easy it is to pronounce, it is original, is it memorable and does it lend itself well to a visual for a logo for your masthead. 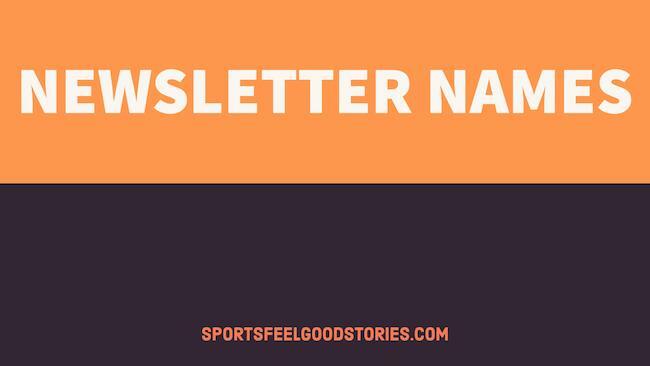 If you have suggestions for catchy newsletter names, please let us know via the Contact page. Thanks!